Aoraki Mackenzie International Dark Sky Reserve was established in 2012, and at 4300 square kilometres, it is the largest such reserve in the world. The most vital factor for a dark sky reserve is lack of light pollution, so it has to be in a remote location. 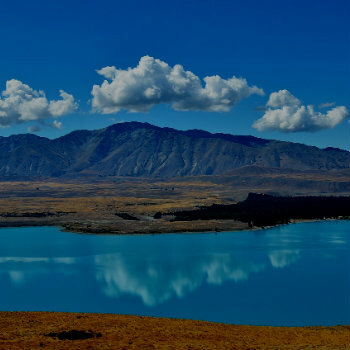 The reserve includes Aoraki Mt Cook National Park, and the towns of Lake Tekapo, Twizel and Mt Cook. The best way to get there is in the comfort of a rental car, as there are no scheduled air or rail links to these locations. Use VroomVroomVroom to sort out the best deal on your hire car, either from the Timaru location, or Christchurch, so you can ensure a great experience without breaking the bank. Turn off that GPS and allow the stars to guide you and your car rental to Lake Tekapo (1hr 30mins drive on SH8 from Timaru, or 3hrs from Christchurch) and Aoraki Mt Cook Village (1hr 15min drive from Lake Tekapo, SH8, SH80 Mt Cook Road). Try these walks for a personal stargazing experience: Pines Beach walk- From Cowans Hill lookout car park to the Church of the Good Shepherd, is an easy walk through partly forest terrain, across Lilybank Rd to the lake shore where you can choose from these 2 options to base your star gazing destination… left to the Church of the Good Shepherd or right to Pines Beach. You will notice, driving around at night, that there is limited artificial light in the township of Lake Tekapo, and you'll need to slow right down to read the street signs. This is all part of keeping light pollution down for the dark sky reserve. Astro Café atop Mt John is “Possibly the best place on the planet to drink a coffee”(Lonely Planet Review) and is a must visit for its spectacular 360° panoramic views. Open from 10am-5pm, drive your car hire along SH8, turn off on Godley Peaks Rd and follow till you come to a turn off on your right on a private access that will lead you to this great location and service. Otherwise cruise your car hire to the end of Lakeside Drive to access the the Mt John Summit walkway. Park the car and hit the trail to the same destination, but at a slower rate of about 2hs and 30mins through larch forestry, open tussock grasslands. If you are lucky, you'll get the odd sighting of the Himalayan chukor bird and geckos. Definitely makes the destination more valuable once you reach it. Freedom Camping: check out the Lake Pukaki site (The Pines) on Hayman Rd. Although there are no facilities available, it's free and you will be treated with breathtaking sunrise and sunset views. Obviously the stars are there all year around, but in the winter months, you also have the chance to see the Aurora Australis, or Southern Lights. You need a clear night, with strong activity of solar winds, when the moon is at its darkest. Aurora Australis is hard to predict, so it is more about being in the right place at the right time. If all this naked eye viewing has whet your appetite for the high tech , there is an incredible affordable option. The Geraldine Observatory is a state of the art, private,roll on- roll off roofed observatory, run by Peter and Wyn Aldous. 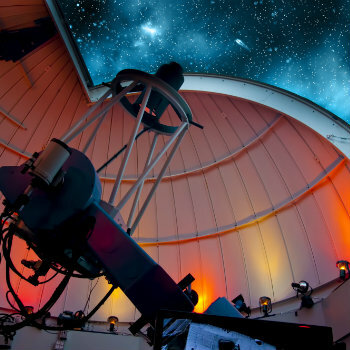 Peter has 40 years experience as an amateur astronomer, and offers tours on a donation basis. Yes, that's what I said, a donation. All proceeds go to South Canterbury Outreach Astronomy, which is all about making astronomy accessible to the public. 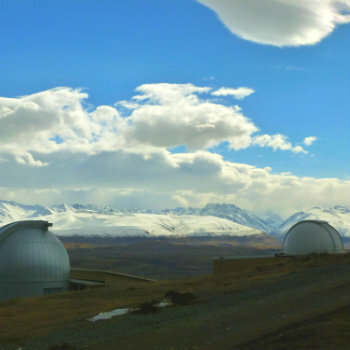 You can arrange a session with Peter through his website, www.geraldineobservatory.co.nz. Geraldine is a cute town, with a great supermarket stocking a surprising array of craft beers, roughly halfway between Christchurch and Lake Tekapo.